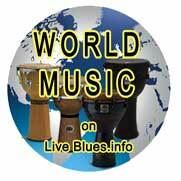 Wed May 28 2014 Roots Americana Blues Swing Jazz World All the good stuff ! Dr Shades are back at the Blues Room this Thursday. The band was formed out of the audience at “Shades of Blues”, the blues club that Bob used to run in St Albans. He sent an email round asking if anyone wanted to get together to do some jamming. After a couple of changes of personnel, the line-up has settled in its current form. And the rest is history……!